Zumba is a new fitness craze which seems to be increasing in popularity in Sri Lanka, as individuals flock to try out this new fitness craze. Here’s a review of what Zumba is and the benefits offered by this particular workout. 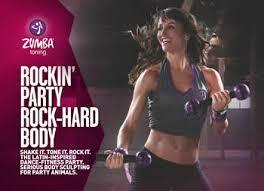 Fat burning: An independent study reported that the average Zumba workout burned a commendable 370 calories. Understandably, how much fat you burn depends on your current fitness level and how much you are “into” it. Total body workout: With different workouts being created for different parts of the body, Zumba can deliver what some exercise programs lack-a total workout for the entire body. The dancing steps ensure that it targets key muscles in your back and your core. This gives participants an opportunity to tone their overall physique without having to lift weights, ensuring that become stronger and more flexible. Improves your cardiovascular system: Unsurprisingly, Zumba dancing gives participants a thorough cardio workout, as the songs themselves provide effective interval training, ensuring that the participants get the maximum out of their dance routine. Stress reliever: Lets face it, sometimes you just need to let it go. Zumba allows you the freedom to do that without others judging you. During exercise, your body releases endorphins, aka the ‘happy hormone’ which makes you feel good. The more you move, the better you feel and the more fun you have. This promotes an overall ‘feel good effect’ and helps alleviate stress. Active Mind: Sometimes, a workout can become tedious: going running, lifting weights can make your exercise regimen seem tedious and boring. Learning new dance steps keeps your mind fresh and alert to new ideas. Furthermore, learning dance steps assists in improved coordination. Improved focus & concentration: Learning new dance steps is an excellent way to stay mentally alert. As you focus on doing the proper dance movements to the right rhythm, it helps you to increase your focus and concentration for a longer period of time. The effects of improved focus don’t stop after the workout, but stays on for a few hours afterwards as well. Anyone can join: Serious injuries aside, people of all ages and fitness levels can take part. Even if you have two left feet, all you need is a few good minutes to get into the groove. Social workout: if you are working out with your friends, the nature of the workout is such fun that it doesn’t feel like a workout. Doing this alone? Not to worry, expect to make new friends since you’ll one of the many individuals having a good time! If you were inspired by this article to try out Zumba, congratulations! We’d suggest that you check out this article to see what you should expect at your first Zumba class. ← How does Insurance work? Thats awesome Pauline, always good to find something which you are very passionate about. Good luck! I always like music and dance. Whether classical or western. Dancing is a good exercise for both body and mind. No doubt. Absolutely, some Baila music for Zumba would certainly make it quite interesting!